This year’s HealthBoss University LIVE event felt more like a family reunion than a conference that gathers a bunch of strangers. 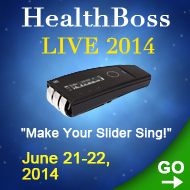 GO HERE to see the Picture Album from our BIG Dream conference – HealthBoss LIVE 6-12. Overall, it was like a big (and growing) happy family. We talked about our dreams and fears, we learned from each other, we helped each other. We laughed together, we wrote our vows, we worked our butts off, we got out of our comfort zones, we experienced ‘AHA!’ moments, we hugged, we looked at the rainbow. We are very proud to get feedback like that. We worked hard on this program – and we are happy that we have accomplished our goal of inspiring and empowering people to become Home Healers and claim their Health Independence. How do we know it is working? Because our Home Healers community is growing; because at HealthBoss University LIVE 6-12 we had a room full of people who are DOING IT NOW and who are passionate about helping others find their way to health freedom. Genya and Christine are even taking steps to change their successful carriers in other areas to become Home Healers and empower others in this positive transformation! With you, our wonderful community, we are well on the way to our BIG Dream of seeing the Home Healers movement a powerful unstoppable social trend that will change the face of health care as we know it. We’ve got inspired and charged by Stan Cottrell’s “YES!! !” to life and dreams. We’ve seen and conquered the Fear of Disease. We’ve leaned to look at food as ENERGY transfer vehicle and jointly digested Dr. Roland Thomas’ Efficiency Principles in choosing food wisely. We’ve learned a lot about our pets from Dr. Nance MacLeod and understood how to treat them the way THEY would like to be treated. We’ve discovered that PACING ourselves is much better and more efficient in the long run than PUSHING ourselves. We’ve found a new appreciation for PAIN and new interesting ways of dealing with it from Dr. Fred Hart and Mike Beasley. Dr. Fred even designed individual programs for those of us in pain. We’ve gone down to the cellular level in understanding how our energy healing tools work – and we’ve done our best in explaining, understanding, remembering, and practicing the Healing FUSION Protocols that make your devices sing the song of regeneration, anywhere you go. There was more, much more. There was a lot of everything – for the body, mind, and soul. There was only one thing missing – YOU. We’ve finished our conference exhausted yet happy, full of new information, inspired, tuned-up, recharged, and anxious to get to work and with the new-found passion implement everything that we’ve discovered. We are saying “YES!! !” to our dreams, we already see them coming true… but what about YOU? For those of you who was not with us last year and does not know what I am talking about, “Guerrilla DVDs” are just slightly edited, almost unaltered event recording tapes (we remove only “noise”, incomprehensible pieces, and housekeeping questions) accompanied by PowerPoints and videos used in the presentations. Basically, you get to see the full event almost the way we saw it – hour by hour. What will it do for you? You’ll Find Out How To Get More Results from Your Equipment, and New Healing Equipment Combinations. You’ll Find Out How To Accelerate Healing And Pain Relief Results For Yourself, Your Family and Your Practice. You’ll Learn to Better Understand Your Body and Stop Fearing the Disease. We fear what we don’t understand. Why is this vital for your health and happiness that you get rid of that fear (that you may not be even aware of)? 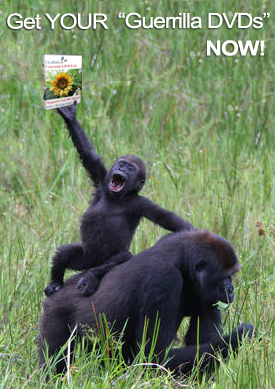 Get the “Guerrilla DVDs” to find out. Over 18 hours of recordings on DVDs – roughly edited to create a self-teaching and immediate implementation format. The Power of Dreams. Why Do You Need to Find Your BIG Dream and Live Your Smaller Dreams. How You Can Feel and Act like 38 in the 68 y.old Body. The 7 Simple Principles of Effective Nutrition. How to Get Maximum Energy from Your Food. Natural Treatments for Your Pets. Home Healer How-To: Why and How We Get Sick and What-to-Do About It. How To Gain Stamina, Strength, and Flexibility Even If You Are Completely Out of Shape. Cellular Healing: How SCENAR and Soft LASER Work on the Cellular Level. Basic Healing FUSION PROTOCOLS for Mixed Modalities: SCENAR, COSMODIC, Q-Laser, SOLARIS Blanket. All the screen shots, videos, and Power Points to go with each Practical Professor’s presentation are also included. BONUS! If you are pre-ordering your DVDs, you will be able to watch some of the important content online already now while you are waiting for your DVDs. We are uploading one of the edited key presentations in the membership section of our website. $297 from now till August 1st, 2012 (that’s the day we plan on completing the production of DVDs) – PRE-ORDER. $397 starting August 1st, 2012. 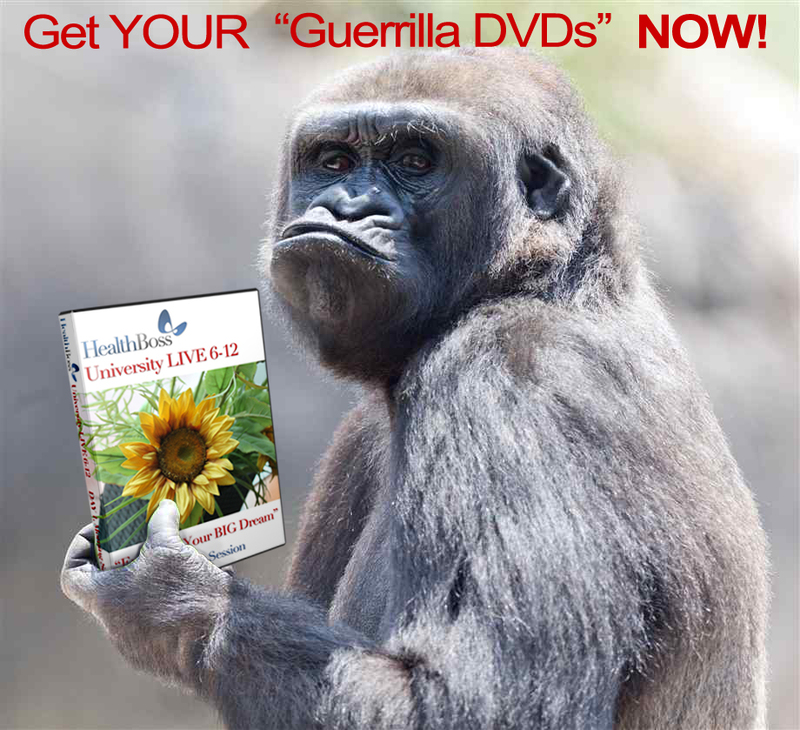 If between now and September 1st, 2012 you are purchasing from us $1,000 USD or more of the Healing FUSION equipment – you get $200 discount on the Guerrilla DVDs. HBU Students! Call the Office for Your VERY-VERY Special Deal. OPTION 2.CALLour office 855-468-0033 and complete your personalized order over the phone (alternatively, you can email us at support@healthboss.org – and we will call you back). Our offices are open Mon-Fri, 9:00am-5:00pm EST. PLEASE NOTE: If you order ONLINE, you will have to agree to the “Personal Use” license before your order is processed (see FAQ below). 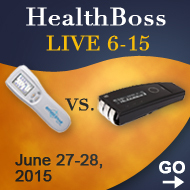 Q: Why are you only doing a limited release of the HealthBoss University LIVE 6-12 “BIG Dream” Event tapes? A: As usual, we will be creating a series of individual educational products dedicated to Home Healing out of the conference materials. We expect to release at least 6-8 new stand-alone products. Those items will probably sell for $97-$225 each. Which means the total value of the information will be in excess of $1,000 – which is still less than what our attendees paid to participate in HealthBoss LIVE 6-12. We want to be fair to everyone. The limited release of the DVD sets under $400 was our “golden midst” when we considered our attendees – and those of you on a budget. Q: Why does the cost of the “guerrilla tapes” go up from $297 to $397 when the tapes are released (tentatively August 1st)? A: Because the product will be done then and you will not be pre-ordering. Video-editing and production is a very time-consuming, labor-intensive, and expensive process, and your financial support on the production stage is important in making sure it runs smoothly. Besides, we feel that people who pre-pay for the tapes are our best customers. By paying us up-front you are showing your trust in us and our ability to deliver a good quality product by the promised date – and we want to show you our appreciation in return. Q: What is the difference between getting the complete DVD set now – and waiting for the individualized new products? A: Aside from the fact that you are getting a major price-break, there are few other advantages. First, if you get it now, you can be using the information right away. Actually, we will even put online in our Membership area one of the important presentations that you can watch while waiting for your tapes. Your will have an access to it right after you purchase. Second, we call this DVD set the “Guerrilla Tapes” – that means they have been minimally edited to give you the maximum learning experience – just like you were in the audience. Q: What is this “PERSONAL USE LICENSE” you mentioned above? Why do you have it and what does it say? A: In a nutshell – it’s a standard agreement you see whenever you buy any software. All it says is that you have the right to use this information and this DVD set for your “PERSONAL USE ONLY” and you may not distribute it, sell it, etc. So we want to make it perfectly clear what you could and could NOT with this information. Personal Home Use ONLY – no commercial uses. “If better is possible, good is not enough. What I found here is the next dimension that is so far ahead from anything I’ve known so far. This is the best of the best. The DOVE scenar and other equipment will be my personal health assistants during my run through 257 countries over the next 6 years. “I want to let you know that there is a group of people, who are on a cutting edge of technologies that are going to revolutionize the way we approach healing. This way we did not have in a past. It will be used by people who learn new technologies to remove the pain that they were suffering with for a long time NOT KNOWING that it can be removed. And that they can do it THEMSELVES if they have the tools. I recommend for you to get in touch with Mediscen-HealthBoss – an organization that pushes the boundaries of what was known before. This knowledge is priceless, because it empowers people to heal themselves with the tools that are available for them NOW. 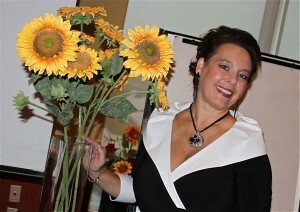 “At this conference I discovered wonderful healing tools – SCENAR, COSMODIC, Soft LASER, SOLARIS Blanket. I’ve heard many amazing stories. I am convinced, and now I want to start my new carrier of being a healer. I and my husband see a great need for that. Do we want it or not, we have relationship with food. It can be passionate love-hate relationship, or happy harmonious balance, or cold indifference, but we can’t avoid it. Food is a part of our environment. We depend on it to keep living. Dr. Roland Thomas gives you the tools and the “how-tos” of a Nutrition Silent Warrior: the basic Efficiency Principles in selecting your food. You really need this knowledge to make sensible choices about what to put in your body and how to make your food the most ENERGY-EFFICIENT develop loving relationship with it. 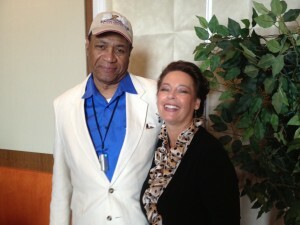 You can find out more about Dr. Roland Thomas HERE. You can also listen to the Teleseminar on Quantum Nutrition where Dr. Roland Thomas goes deeper into the topic HERE (Teleseminar #2 on the page). Guinness record holder, ultra-distance runner, and a sports legend Stan Cottrell in this short video teaches you to select your running shoes correctly. If you are into running, you will find his recommendations invaluable. 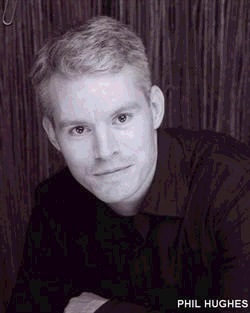 Learn more about Stan Cottrell HERE. You can also listen to Stan’s Teleseminar “Live Your Life with Passion and Purpose… If You Can.” Stan will tell you why you should — and how you can. Stan Cottrell, now 69, is going to share with you his Big Dream and how he prepares himself physically, mentally, and spiritually for the greatest project of his life — The Great Global Friendship Run. He is going to run through EVERY COUNTRY in the world (total of 257) over a period of 5+ years in order to raise 1 Billion dollars for orphans worldwide. How can ANYONE make such a commitment, leave alone at the age of 69? Stan Cottrell will tell you how HERE (Teleseminar #1 on the page).